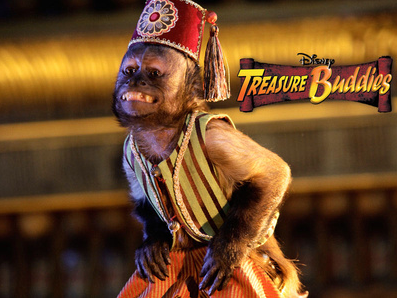 The Buddies are back, and their off one a once in a lifetime adventure in Treasure Buddies, the new flick from Disney. The sixth movie in the "Buddies" series of films follows the adventures of this lovable gang as they search for the "Cats Eye Jewel" in Egypt. Their adventure takes some fun and dangerous turns along the way as they work together to hunt the treasure. Our kids are HUGE fans of the Buddies, and were thrilled to check out their latest adventure for our family movie night this week. The buddies are joined in this film with several new co-stars the kids couldn't get enough of! Babi, the monkey is hilarious and Camy the camel is just too cute for words! 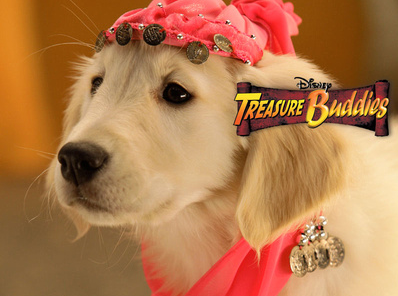 Treasure Buddies is a lively fun adventure the entire family will surely enjoy. The perfect pick for your next family movie night! 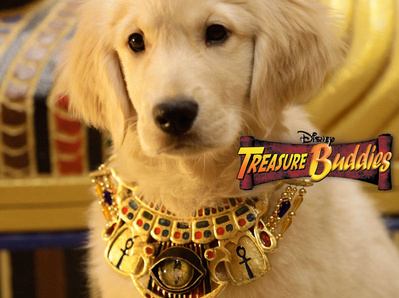 The 6th film in the Buddies franchise stars everyone’s favorite talking canine superstars Rosebud, B-Dawg, Budderball, Buddha and Mudbud, as the pup pack journeys to mysterious Egypt in search of the greatest treasure known to animalkind, the legendary Cat’s Eye jewel, from the lost treasure of Cleocatra! Danger lurks around every secret sphinx, cryptic crypt and puzzling pyramid as Ubasti, a devious cat, schemes to possess the mystical jewel and use its powerful energy to rid the planet of all dogs! With help from new lovable friends Cammy, a baby camel - and a mischievous monkey named Babi - the gang and their new friends avoid booby traps, solve puzzles and explore a mysterious tomb in their most exciting and challenging adventure yet. print some delicious themed recipes that would be great for your next family movie night!